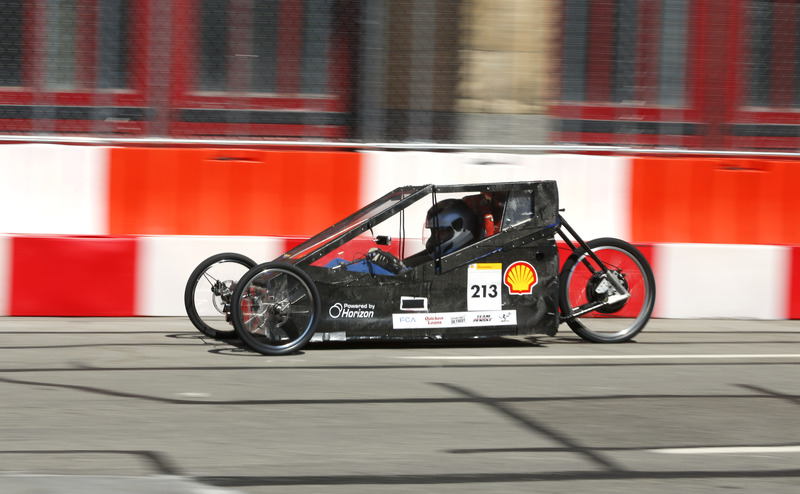 The Darien High School Fuel Cell Car, race number 213, a Prototype vehicle running on hydrogen for team DHS Fuel Cell from Darien High School on the track during day three of the Shell Eco-marathon Americas in Detroit, Saturday, April 23, 2016. 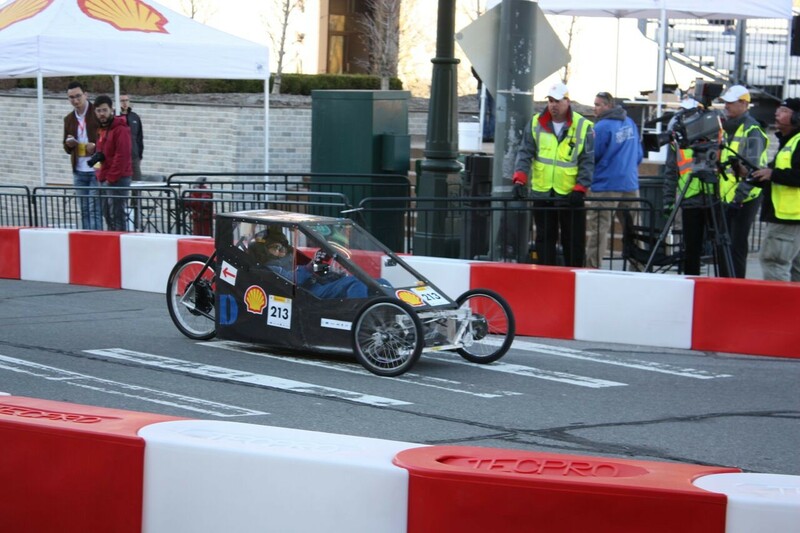 The Darien High School Fuel Cell Team comprises of students currently enrolled in the Principles of Engineering class in the Tech-Ed department of our school. Our job is to create a fuel cell car every year, a vehicle that runs on a fuel cell instead of a battery. Fuel cells in vehicles generate electricity to power the motor, using oxygen from the air and compressed hydrogen. Working together, each person has a different job, allowing each individual to display their talents and develop useful skills that will be used in the engineering world. Not only do we learn about creating a project through engineering, but we also gain the abilities to master finance, teamwork, kindness, determination, and leadership.